Hi! It's Jilly. 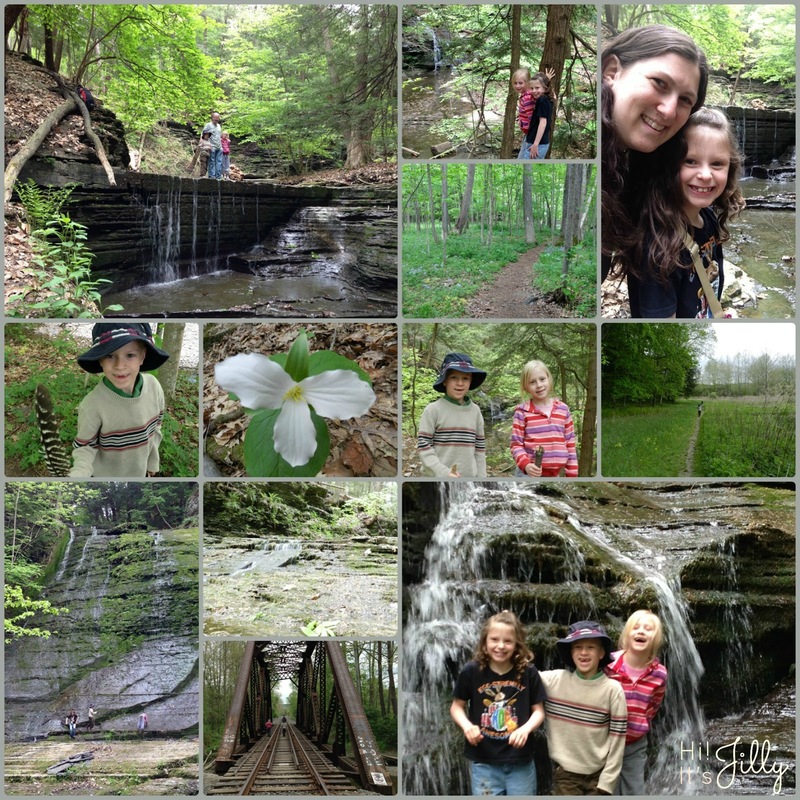 We went on a hike through gorgeous Lick Brook Falls in Ithaca, NY. It was SO beautiful! If you ever get a chance to visit upstate New York it is definitely a sight to behold! We loved all the waterfalls. Our hike turned into a longer hike than'd we bargained for because we thought the trail was a loop...and it wasn't. We ended up by this other parking lot! So, we had to turn around and hike all the way back to our car! Although there was some complaining, the kids did pretty well. They are good little hikers!